Hey there. We’re halfway through this accelerated training! 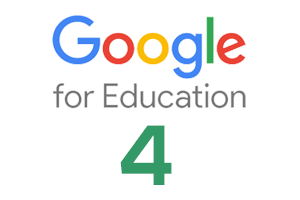 Hopefully you’re feeling more comfortable using Google tools and better prepared to become a Google Certified Educator. We’re moving on to another 21st Century “C” this week – communication. The way you communicate with students, parents, and our fellow colleagues is continually changing. Explore some of the tips below to help you work with your school community. Now that you’re familiar with how Google tools can help you better communicate with parents, students and your overall school community, check out these more advanced use-cases to expand your learning even further. Task 1: Open Gmail and search for an email from Jaime Martinez (a parent of one of your students) with the subject “Field Trip Volunteers”. Task 4: Add another colleague Mr. Costas (acostas@myeducert.org) to this hangout. The multiple choice answers are A and E.